Chop and Quench performing at Grand Performances in Los Angeles, California July 18, 2014. Part of the free summer concerts at California Plaza in DTLA, Grand Performances hosted Chop and Quench: The Fela! 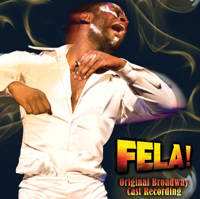 Band Broadway cast, including Tony-nominee Sahr Ngaujah with a history-making live performance of Fela Kuti's influential 69 Los Angeles Sessions in its entirety.